ORG is getting ramped up for the Continental Cup!! 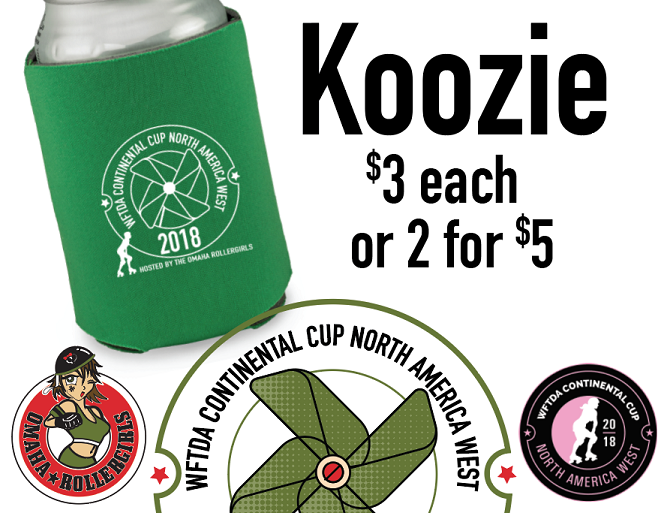 If you haven’t purchased tickets yet, please go to the home page or the WFTDA Continental Cup page and buy your tickets now so that you can not only watch awesome derby, but also check out our Omaha Roller Derby booth. Among the many items to purchase, our koozies will be the perfect item to keep your beverages cold! Stop on by on August 24th, 25th, and 26th, while supplies last!